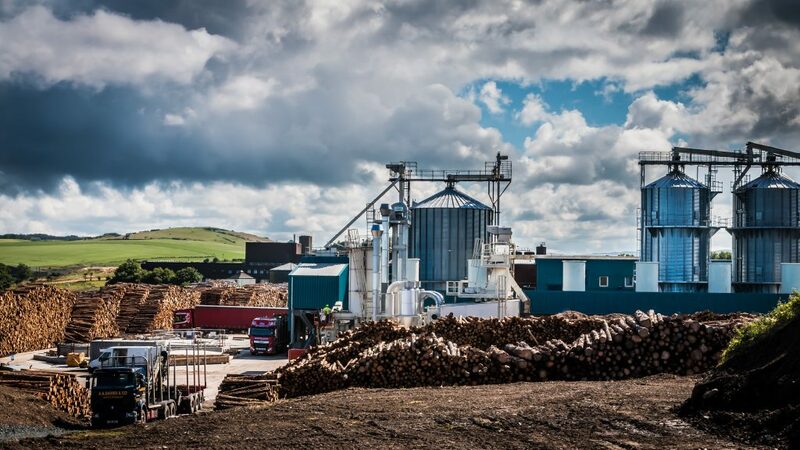 The cornerstone of our supply chain is our wood pellet production plant situated on the South West coast of Scotland in the picturesque South Ayrshire town of Girvan. The plant was developed and built by Land Energy and is adjacent to the Galloway National Forest, the largest forested area in the UK. Running alongside Land Energy’s renewable energy beliefs is an equally strong conviction in quality, which is embedded in both the Land Energy and the Woodlets® retail brands. All the pellets that are produced on the site meet or exceed the ENplus A1 quality standard and to ensure this our production runs are sampled every 60 minutes. We undertake regular laboratory burn tests to ensure a minimum calorific value of 16.9 GJ/tonne and our pellets have an exceptionally low ash content (typically < 0.2%), which translates into low boiler maintenance and fuelling costs. It is this hard graft and attention to detail by our production team that has earned our reputation as a premium pellet producer. 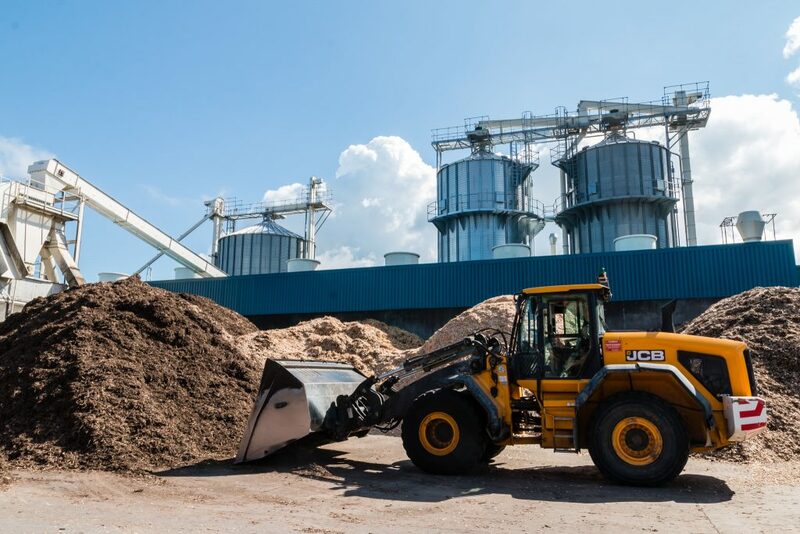 The factory covers 15 acres and includes the main pellet production plant, producing 100,000 tonnes of pellets per annum and timber storage facilities with quay-side access for deliveries by ship. 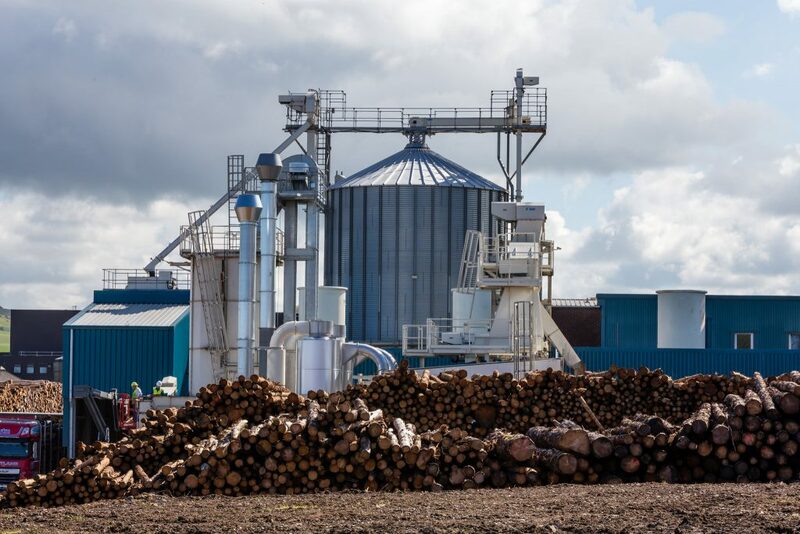 We have installed a state-of-the-art biomass combined heat and power (CHP) system that provides 100% of the pellet plant’s energy requirements, meaning we have near zero fossil fuel inputs, which results in wood pellets with an ultra low net carbon output. All of our timber comes from sustainably and responsibly managed forest sources and adheres to either the Forest Stewardship Council (FSC) standard or the Forest Standard and comes from the local area around the plant. In 2015, the average distance our feedstock travelled to reach the plant was 56Km, a fraction of the distance travelled by conventional coal or oil energy resources. We are on the Biomass Supplier List and comfortably surpass their requirements, ensuring that you will meet all your RHI obligations.